5. Support Multi-Language: Autel MaxiCOM MK906 Support Customized Languages besides English. If you need to change languge, please send us serial number and your location first. And it will cost usd120. We can authorize other language like French, German, Spanish, Portuguese, Dutch, Polish, Russian, Italian, Swedish,Korean, Swedish, etc. 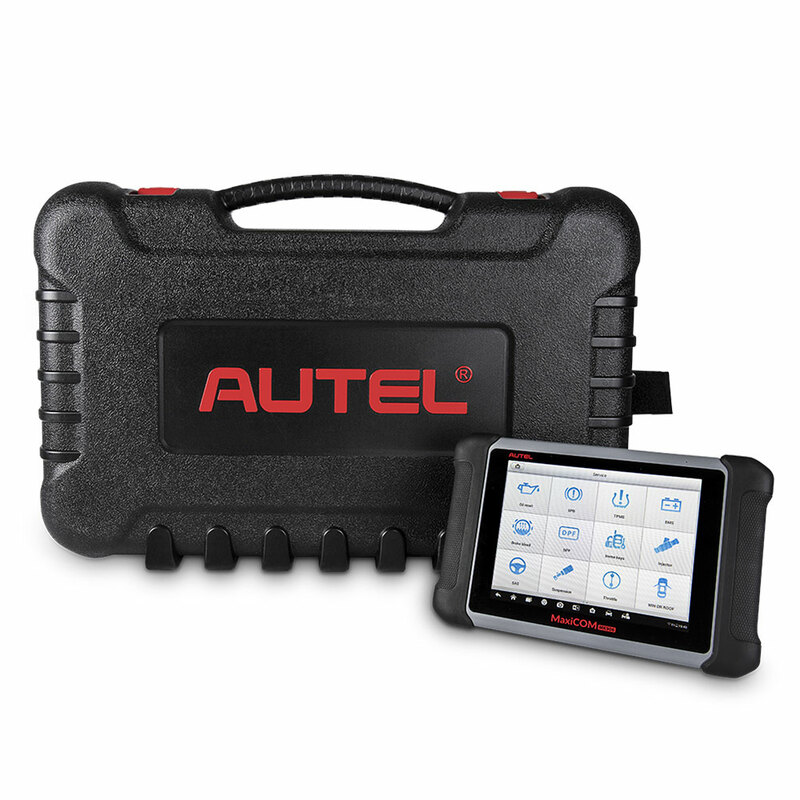 Autel MaxiCOM MK906 is based on the Android operating system and is featured with an extensive coverage of OE-level diagnostics at an affordable price. 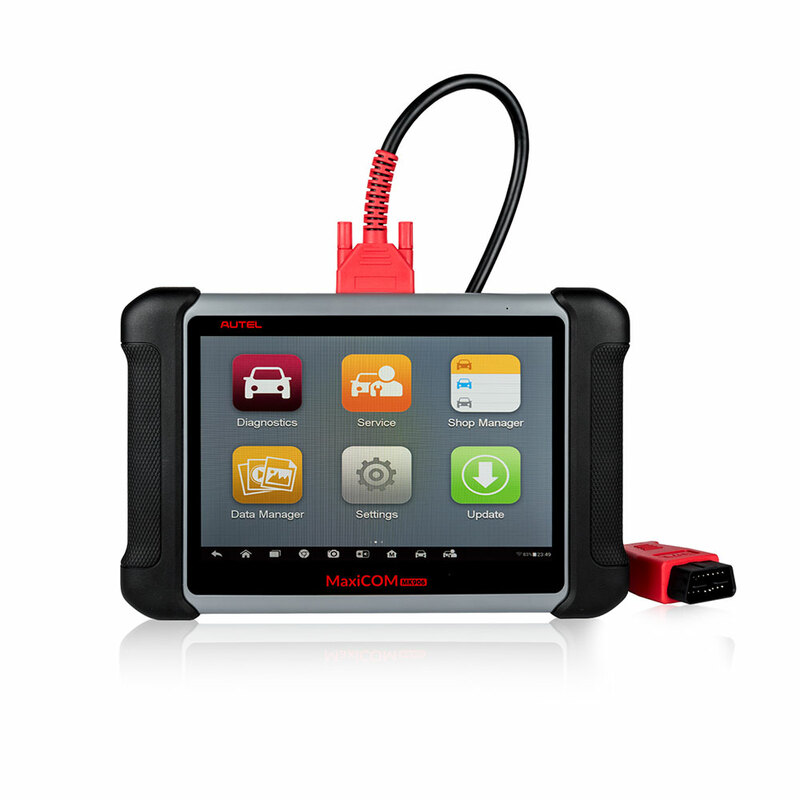 Built with Exynos 5260 6-core processor (1.3 GHz quad-core ARM Cortex-A7 +1.7 GHz dual-core ARM Cortex-A15), a 32G SSD hard drive and an 8" capacitive HD touch screen, MaxiCOM MK906 efficiently provides comprehensive vehicle diagnostics and analysis. 2. Power LED – indicates battery level & charging or system status. communicating/linking with the vehicle`s system. 4. Ambient Light Sensor – detects ambient brightness. Illuminates green when the Display Tablet is charging and the battery level is above 90%. Illuminates green when the Display Tablet is powered on and the battery level is above 15%. Illuminates yellow when the Display Tablet is charging and the battery level is below 90%. Illuminates red when the Display Tablet is powered on and the battery level is below 15%. Illuminates blue when the MaxiCOM system is fault. 3. Collapsible Stand-extends from the back to allow hands-free viewing of Display Tablet at a 30-degree angle. 1. Mini SD Card Slot-holds the mini SD card. 3. DC Power Supply Input--Connects the 12 volt power adapter to charge. 5. Lock/Power Button--turns the device on & off with long press, or locks the screen with short press.